Outset’s sister organisation, Enterprising Women, is a national not-for-profit community that’s all about helping women achieve the success they want, by empowering, connecting, training, inspiring, promoting, celebrating and supporting them. Working with both new and established female business owners from any sector and background and from all over the UK, Enterprising Women offers a network of local business clubs as well as a range of other support, including training programmes, networking events and mentoring support. The Enterprising Women community been honoured as National Best Practice for supporting SMEs by both the UK government and by the European Commission and the Outset service has been embedded and enriched with many of these same principles. Enterprising Women founder, Bev Hurley C.B.E., is a holder of the Queen’s Award for Enterprise Promotion and a national Women’s Enterprise Ambassador. Her presence on several policy-making and government boards ensures your voice goes straight to the heart of government to help secure more effective support for business-women. Enterprising Women is a not-for-profit organisation and membership is normally valued at £95 + VAT per year, with any surplus devoted towards delivering additional value to members and supporting the local business clubs. For a limited time only, all female-owned businesses that successfully register with Outset are entitled to a complimentary 3-month membership to Enterprising Women. You will be contacted and invited to start this free membership with Enterprising Women once you have successfully registered with Outset. There are enormous benefits to meeting regularly with like-minded peers – whether it’s over lunch, brunch, or even just coffee and cake. Building trusted relationships, sharing challenges and getting feedback from other women in business, contributing your experience to others, learning from each other and from guest speakers and strengthening your social and business network, all helps build you and your business’ success. 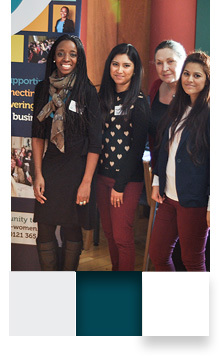 That’s why Enterprising Women offers a range of local business clubs in different areas around the country, including the following locations: Bath, Bury, Cambridge, Cambridge, Cannock, Cornwall, Durham, Enfield, Fareham, Glasgow, Kensington, Chelsea, Westminster, Liverpool, Manchester and Skipton. If we don’t currently have a local business club in your area but you’re interested in getting involved, get in touch to let us know so we can explore the possibility of launching a new club. Please put them in touch with us or share their contact details so we can reach out to them. Throughout the year, Enterprising Women offers a series of Growth Programmes that focus on the issues faced by women-owned businesses, as well as the barriers to growth that confront all SMEs. These programmes are designed to equip ambitious female entrepreneurs with the confidence, expertise and skills to realise their business’ full commercial potential, and are delivered at different levels to match the challenges faced at different stages, from early stage start-ups to £ million turnover companies. Whilst a typical start-up business may, initially, flourish on the strength of the founder’s industry expertise, the time may come when that growth will falter due to lack of key business skills, particularly in critical areas such as financial management, marketing and human resources. The goal of our programmes is to provide women with proven tools and techniques to create a personalised, actionable roadmap to effectively navigate their business’ growth. 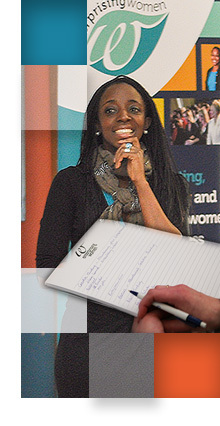 The Enterprising Women Growth Programmes have been delivered to over 1,000 entrepreneurs throughout the UK. Participation is by application only. We haven’t announced our next series yet but please register your name and details if you’d like us to get in touch when we do.